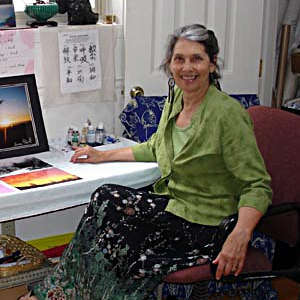 A painter of silk, an author, a songwriter and musician, and a bilingual teacher, Billie Ruth Furuichi has an amazing life. Join Our Community host Candice Michel as she and Billie talk about her time in Mexico, Hawaii, and Japan, building bridges, and how she finally came to live in Brookings. 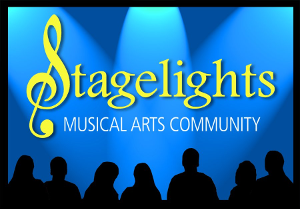 In this edition of Our Community join host Candice Michel for a look at Stagelights Musical Arts Community, as guests Kimberly Devine, Jim Newman, and Sean Gallagher discuss the crippling effects of the Chetco Bar Fire on their Wild Rivers Music Festival this year. This is Episode 34 of Bruin Radio, a show combining all of the great radio and podcast content made by the students of the Brookings-Harbor High School. Content for this program was provided by the Brookings-Harbor High School with student and parent or guardian permission, and the approval of school administration. Throughout our show you heard selections of music from friend of the show Derek Thomas Dew, also known as Touchless Remover on SoundCloud. The music you heard at the beginning and end of Bruin News is from the Prelinger Archives on the website archive.org, and is released under the Creative Commons Public Domain license. The full show from which the Bruin News intro music was taken can be found at: https://archive.org/details/0596_On_the_Air_20_09_04_00. 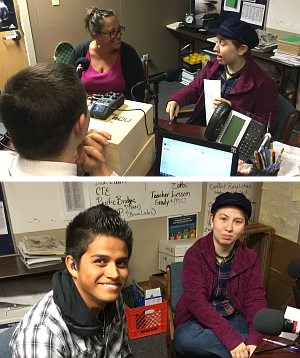 Images are provided to KCIW from the Brookings-Harbor High School. Students pictured in images have signed permission forms from parents on file at the Brookings-Harbor High School. 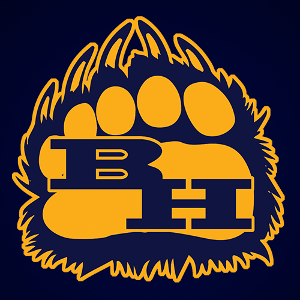 This is Episode 33 of Bruin Radio, a show combining all of the great radio and podcast content made by the students of the Brookings-Harbor High School. Content for this program was provided by the Brookings-Harbor High School with student and parent or guardian permission, and the approval of school administration. Our Coffee Cave advertisement made use of a modified version of the sound effect Brewing coffee, created by Freesound.org user ccj125, Creative Commons Creative Commons Attribution 3.0 Unported license. 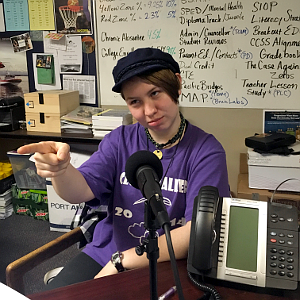 This is Episode 31 of Bruin Radio, a show combining all of the great radio and podcast content made by the students of the Brookings-Harbor High School. Content for this program was provided by the Brookings-Harbor High School with student and parent or guardian permission, and the approval of school administration. The full show from which the Bruin News intro music was taken can be found at: https://archive.org/details/0596_On_the_Air_20_09_04_00. The Video Game Design Club portion of the show used a musical composition called “technology ambience” uploaded by user “burning-mir”, Creative Commons Public Domain Dedication license. 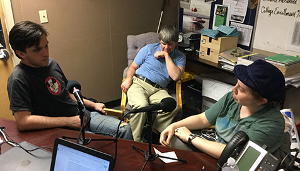 In this episode of Coastal Classical Music, Angela Ewing talks with Tom Broderick, Vice President of Brookings-Harbor Friends of Music, about the upcoming Akropolis Reed Quintet concert presented by the Brookings Harbor Friends of Music. 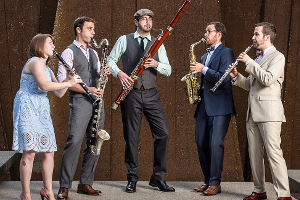 The Akropolis Reed Quintet takes listeners on extraordinary musical adventures, performing an innovative repertoire with acclaimed precision. The quintet will perform on March 26 at 3:00 PM at the Seventh Day Adventist Church, 102 Park Avenue, in Brookings. Tickets are $15.00 at the door and may be purchased at Wrights Custom Framing and Art Supplies. For further information visit brookingsharborfriendsofmusic.org or call 541-412-2957. Music is Spring III from The Four Seasons by Antonio Vivaldi, performed by John Harrison, from musopen.org, Creative Commons Attribution-ShareAlike 3.0 Unported license. Photo by Akropolis Reed Quintet. In this episode of Coastal Classical Music, Angela Ewing talks with Tom Broderick, Vice President of Brookings-Harbor Friends of Music, about The Jasper String Quartet concert which will take place on February 26, 2017. A Performance not to be missed. 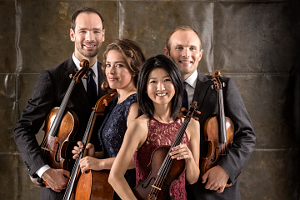 The Jasper Quartet is comprised of First and Second Violin, Viola, and Cello. The quartet will be performing on February 26 at 3:00 PM at the Seventh Day Adventist Church, 102 Park Avenue, Brookings. Tickets are $15.00 at the door and may be purchased at Wrights Custom Framing and Art Supplies. Photo provided by Brookings-Harbor Friends of Music. Welcome to the first edition of our new series, Indie Music Roadshow with host Kimberly Devine. Indie Music Roadshow is devoted to recognizing and showcasing musical talent of all genres, a variety of locales, and all levels of involvement in the art. Having been a music lover since childhood and being a singer-songwriter myself, I understand the complexities and challenges of getting your work out where people can hear it. The show will feature in depth interviews with the artists not only making the music, but those making the music possible, as well as sharing some really fantastic music that might not otherwise make it out to a listening audience. This premier edition of Indie Music Roadshow was recorded at the Wind River Studio, nestled in the gloriously wooded foothills of the Santa Cruz Mountains. Built with cathedral ceilings of rich, warm lumber harvested from the land surrounding it, the studio feels open and spacious. The vintage woodstove suspended by iron rods hooked to the ceiling offers a cozy atmosphere on chilly days and evenings. Surfboards are suspended from the ceiling as well … in addition to being a well-loved songwriter and performer, studio owner Keith Greeninger is also an avid surfer and the master carpenter who designed this magical venue. We say venue because, not only is Wind River a studio for recording purposes, it is a perfect hall for a house concert. These performances are often recorded live, and folks who are lucky enough to attend are treated to a show that is unforgettable. 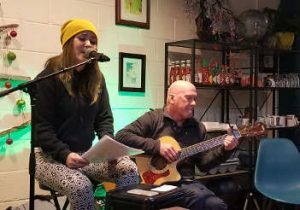 Indie Music Roadshow will be visiting Wind River Studio often to connect with Keith, Sound Engineer D. J. Higdon, and other fabulous artists who might be performing or recording there. Beginning and end music is from Chordwood Album The Journey, written by Kimberly Devine and a music collaboration with Keith Greeninger, used with permission. Episode music is by D.J. Higdon, ChordWood, and Keith Greeninger, used with permission.